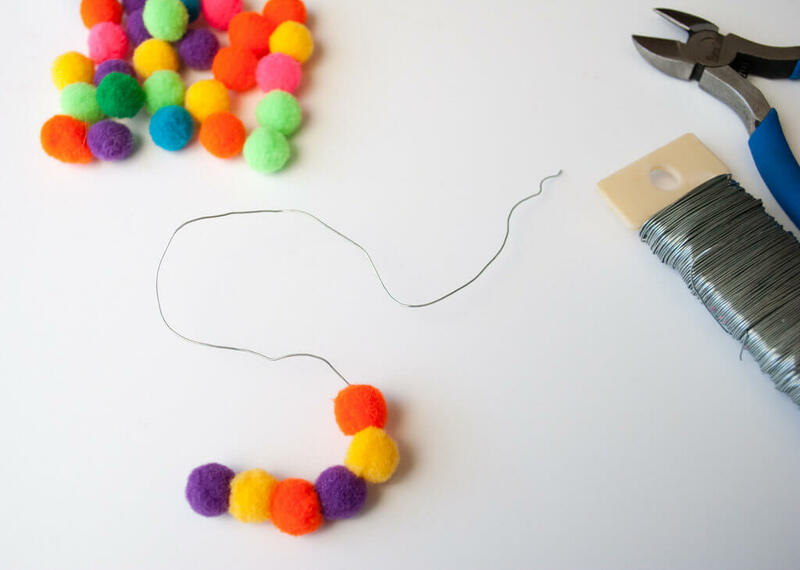 Make these colorful and cheery DIY pom pom ornaments for your Christmas tree. 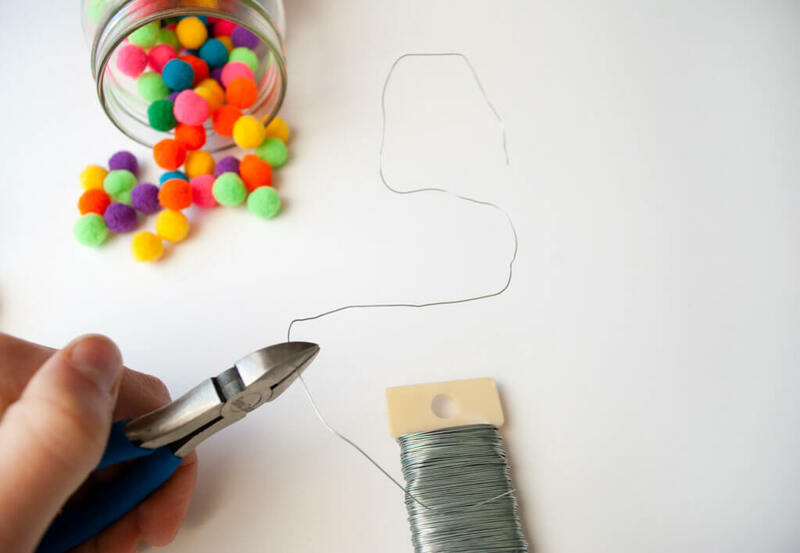 You only need three craft supplies — bright mini pom poms, floral wire and mini ric rack ribbon — to make easy handmade Christmas ornaments that double as merry DIY Christmas gifts. 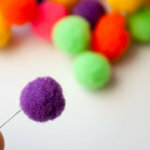 This easy Christmas craft project uses one of my all-time favorite cheery craft supplies: mini pom poms. 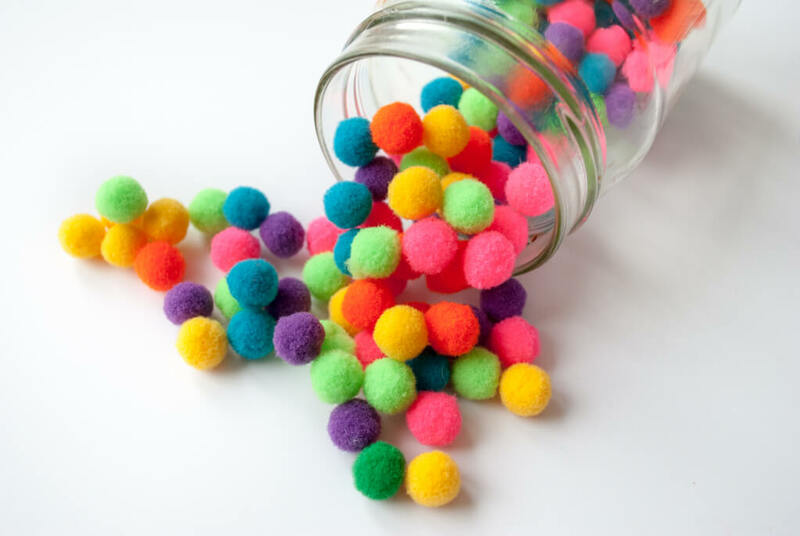 I store these little cuties in a mason jar on a shelf in my craft studio so I can look at them all the time. 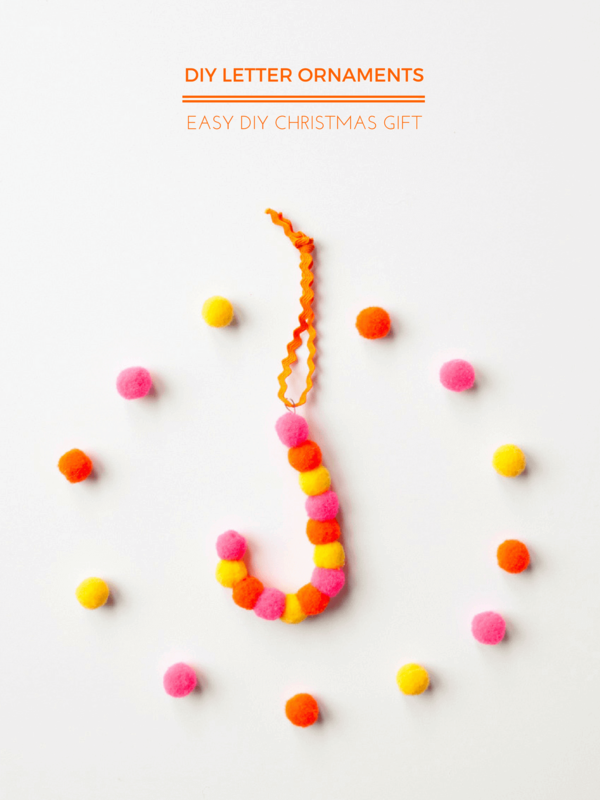 Each Christmas, I buy letter ornaments for the kids at Land of Nod. 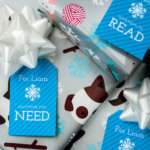 Yeah, I said buy …I love cute typography and Land of Nod has a different cute letter each year. 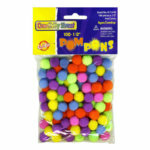 Then I saw these cute pom pom cake toppers and thought I could use up some of my pom pom stash. I didn’t have pipe cleaners but I did have floral wire, so instead of making a Joann run, I used floral wire and it worked really well. 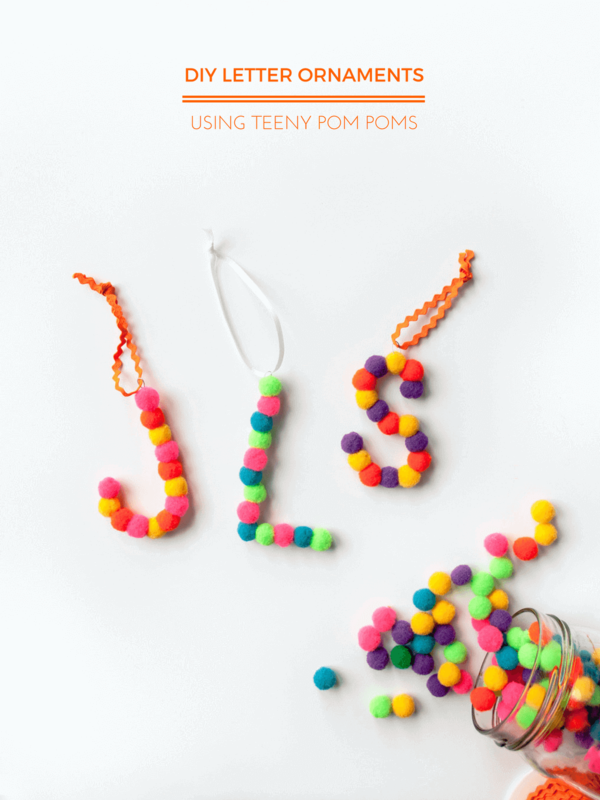 Making Pom Pom monogram ornaments. So far I have an S, L and J. 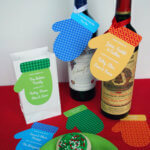 This is an easy and quick DIY gift – what letter do you want to see next? ???? I made my first pom pom ornament for my friend who temporarily moved to Chicago for a job and had zero Christmas ornaments for her tree! 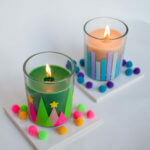 It was easy to make and I was hooked, so I started making them for my whole Christmas list. 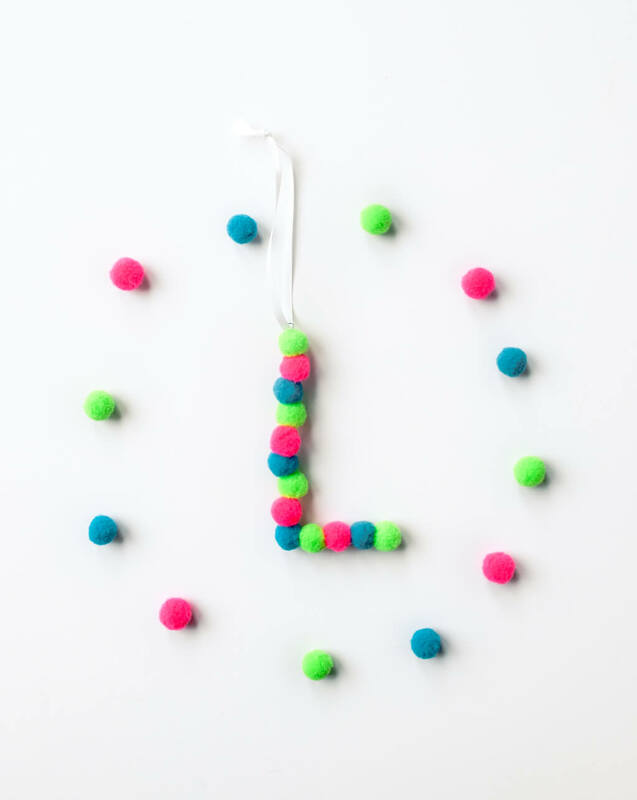 This year, I need to make a K for myself! 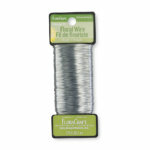 Form a loose letter with jewelry wire or floral wire and cut with wire cutters. 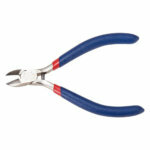 You’ll want to cut it longer than you need just to give you enough room. And some letters, like K for example, will need a couple of pieces. 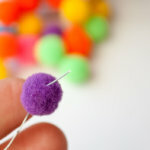 This is an easy 1-2-3 step (showing small photos below so you can see it more easily): String a pom pom onto the wire (avoid poking yourself). 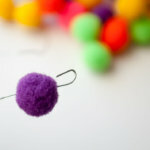 Curve the end of the wire, then pull the pom pom down to hide the curved wire. Neat, huh? 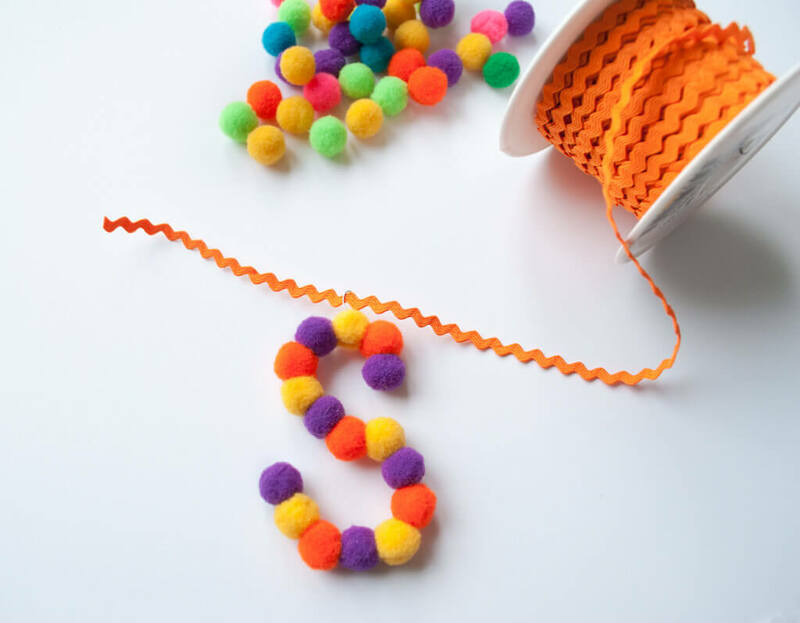 Keep stringing pom poms until the letter is fully formed. 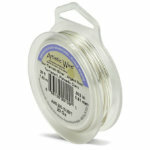 Then cut the wire to fit, curve the end of the wire into a small hook, and tie on a bit of ric rack ribbon. Repeat for every person on your list! 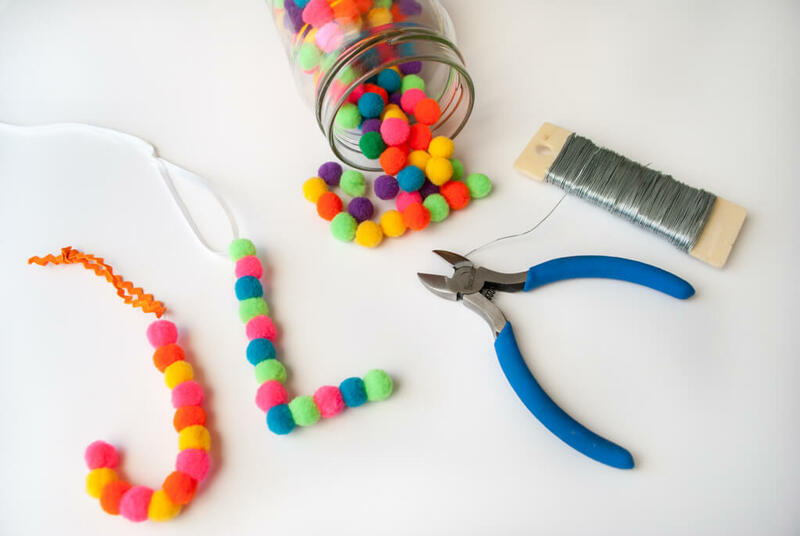 And tell me in the comments below: What letter will you make for your DIY pom pom letter ornaments? ??? This looks fun! Do you think 8 year olds can do it with assistance? How do you connect the wires for letters that need more than 1 piece?